There is an ongoing debate whether or not multisensory interactions require awareness of the sensory signals. 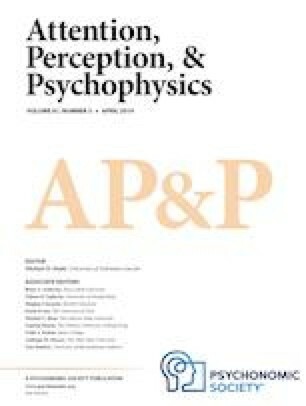 Static visual and tactile stimuli have been shown to influence each other even in the absence of visual awareness. However, it is unclear if this finding generalizes to dynamic contexts. In the present study, we presented visual and tactile motion stimuli and induced fluctuations of visual awareness by means of binocular rivalry: two gratings which drifted in opposite directions were displayed, one to each eye. One visual motion stimulus dominated and reached awareness while the other visual stimulus was suppressed from awareness. Tactile motion stimuli were presented at random time points during the visual stimulation. The motion direction of a tactile stimulus always matched the direction of one of the concurrently presented visual stimuli. The visual gratings were differently tinted, and participants reported the color of the currently seen stimulus. Tactile motion delayed perceptual switches that ended dominance periods of congruently moving visual stimuli compared to switches during visual-only stimulation. In addition, tactile motion fostered the return to dominance of suppressed, congruently moving visual stimuli, but only if the tactile motion started at a late stage of the ongoing visual suppression period. At later stages, perceptual suppression is typically decreasing. These results suggest that visual awareness facilitates but does not gate multisensory interactions between visual and tactile motion signals. The online version of this article ( https://doi.org/10.3758/s13414-019-01692-w) contains supplementary material, which is available to authorized users. Funding from the European Research Council (ERC-2009-AdG 249425-CriticalBrainChanges) and the German Research Foundation (DFG Ro 2625/10-1) to BR and (BA 5600/1-1) to SB. We thank Liesa Zwetzschke for help with data collection.